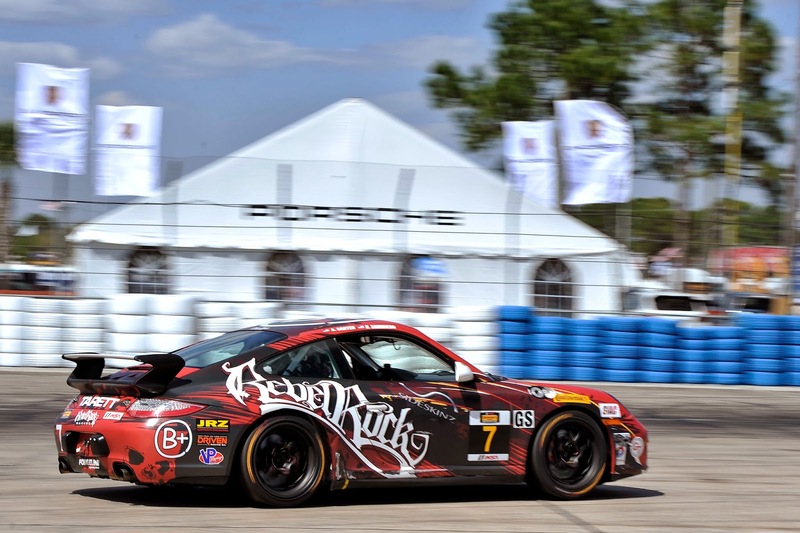 Rebel Rock Racing team came to Sebring as a potential podium contender but at the end the two Rebel Rock Racing GS Porsche finished 11th and 12th. The third Rebel Rock Racing car entered in the ST class finished 12th. In a tough race where 14 cars failed to finish, Rebel Rock Racing’s 3 Porsches all made it to the checkered flag running perfectly. The No. 88 Rebel Rock Racing Porsche entered in the ST class had a unique 3-driver line up at Sebring. Jim Jonsin who is also the founder and Rebel Rock racing team owner was fast in practice showing the progress made by the team between Daytona and Sebring. The No. 88 Ingersoll Rand /Brewster Porsche /Joe Gibbs Driven/ Oakley /Western Star/Alliance Truck Parts Rebel Racing Porsche Cayman was co-driven by Jim Jonsin, Johnny Kanavas and Corey Lewis. Jonsin had a very good qualifying and put the No. 88 car 9th on the starting grid. Using three drivers meant an additional pitstop over all other ST cars. The three drivers did a good job and finished in the top half of the ST field in12th place thanks to a careful work in the pits. 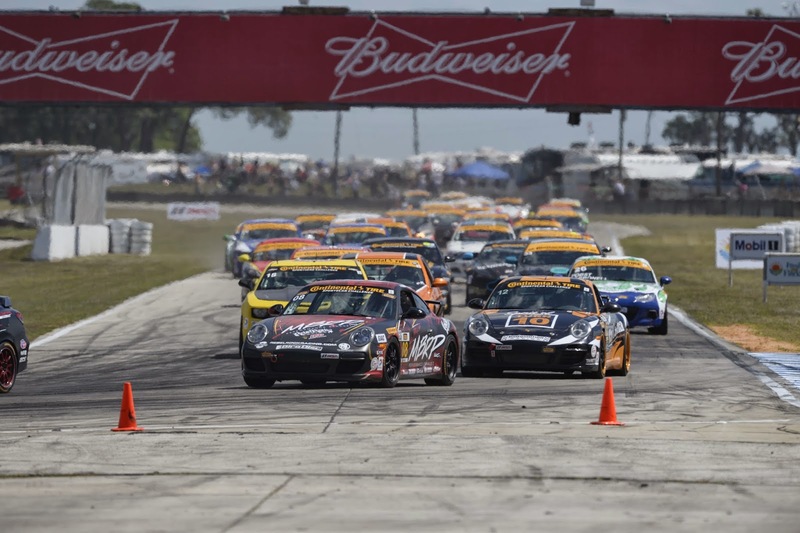 The two-hour Sebring broadcast will air March 19 on FOX Sports 1 at 1 p.m. ET and will re-air March 23 on FOX Sports 2 at 7:30 p.m. ET. 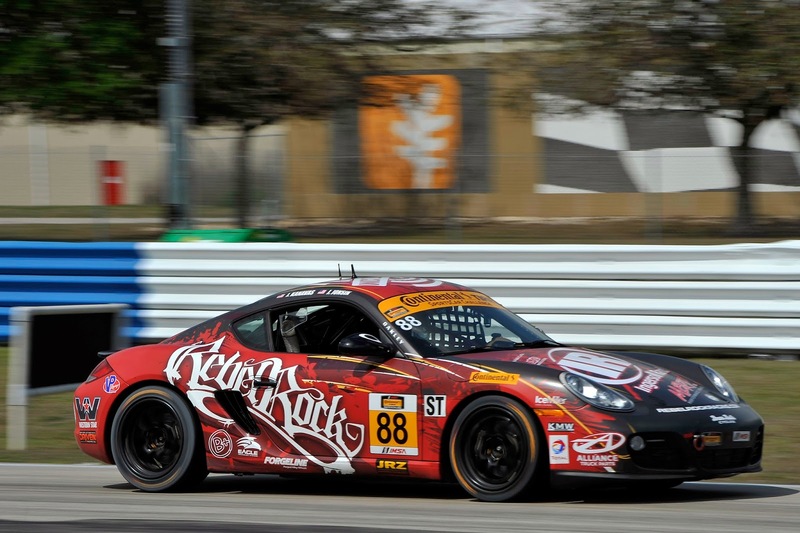 Jim Jonsin is looking forward to the next round at Mazda Raceway Laguna Seca where Rebel Rock Racing will continue its expansion and will enter a total of four Porsche, two in the GS and two in the ST class. The No. 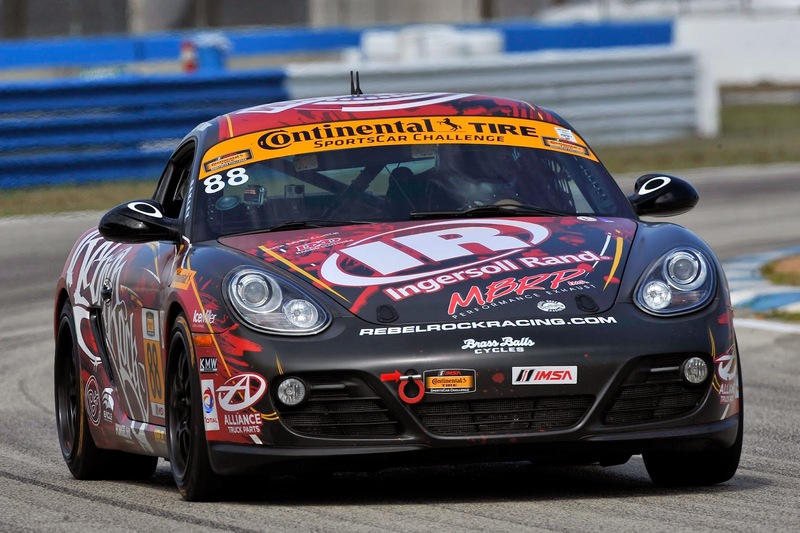 87 Porsche Cayman will be driven by a new young driver with extensive experience, Miles Maroney. He will co-drive with Johnny Kanavas. Miles Maroney started racing cars at a very young age and recently competed in the IMSA Porsche GT3 Cup USA and the ALMS driving a Prototype Challenge. Maroney is backed by a very unique sponsor, The Coalition Group.